In Danish law, a claim for professional negligence can be brought under a contractual or non-contractual relationship. Contractual claims usually arise when the professional is required to complete a task under a contract and has failed to do so. Non-contractual claims usually arise from an act or omission contrary to a profession's standard of good practice. Such a standard can have various sources, such as statute,2 ministerial orders and rules of professional bodies. The general comparator used is that of the reasonably competent professional. However, the comparator when providing specialist advice is usually that of the reasonably competent specialist. As regards the standard of proof, there is no general rule and it is usually for the claimant to establish the standard,3 which is often done by asking the court to appoint an expert. Common defences against professional negligence claims, whether contractual or not, include lack of proof, estoppel and failure to bring a claim in time. Exclusion of liability is possible only in contract. Such contractual exclusion must be reasonable and is invalidated by gross negligence or intention to cause damage. Depending on the profession, there are disciplinary boards, which assess whether a professional has or has not acted in accordance with the rules of his or her profession, and there are complaints boards, which assess a professional's service, mainly in cases brought by consumers. Not every profession has a disciplinary board or a complaints board, and certain professions have a combined board. Where the boards exist, they are often the first step when resolving a professional negligence dispute, and they each have their own rules of procedure. Arbitration is often used to resolve construction disputes, but arbitration and mediation are not common dispute fora for professional negligence otherwise. The remedies generally available to the parties depend on whether a claim is brought in contract or not. 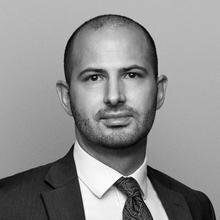 For a contractual claim for professional negligence, a claimant generally has two options. The first is to be placed in the position as if the contract had been completed, and the second is for the claimant to be placed in a position as if the contract had never been entered into, both through an award of damages.11 If there has been a contractual material breach, termination is also possible. For a non-contractual claim, the general remedy is to place the harmed party in the position as if the harm had not occurred. Remedies include damages and injunctions. 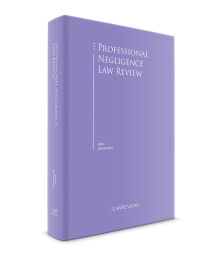 For all damages for professional negligence, causation and remoteness principles apply, indirect losses can be included, there is a duty to mitigate loss12 and one cannot be unduly enriched from a negligent act. Each profession is often distinct and complex in how it approaches professional negligence. For comparison purposes, the sectors below focus on details such as applicable legislation, professional bodies, standards of good practice, disciplinary and complaints boards, and insurance. The Administration of Justice Act sets out the conduct required of a lawyer, which includes completing a task thoroughly, in good conscience and with the appropriate client care.13 The Danish Bar and Law Society is the body that expands upon this standard of good practice to include rules on client privilege, conflicts of interest, fees, confidentiality, etc. The professional body for lawyers is the Association of Danish Law Firms, which works for the interests of law firms, their owners and employees. The Act on Complaints and Claims in Healthcare16 covers negligence within the medical profession. Section 19 of the Act states that it generally covers every treatment of a healthcare professional who is a part of the Danish healthcare system. There are various professional bodies that work for the interests of their members; the example for doctors is the Danish Medical Association. There are three boards in the Danish healthcare system: one disciplinary; and two complaints, of which the first is for compensation and the second is for compensation appeals. It is these boards, along with two advisory boards,19 that contribute to the understanding of what is the standard of good practice for medical professionals. There are various bodies that further the interests of banking and finance professionals; two examples are the Danish Insurance and Pension Association, and the Finance Society (the latter for banks' employees). There are also different complaints boards for different financial activities (e.g., mortgages and investment funds). There are certain bodies such as the Danish ICT Industry Association and the Telecom Industry Association that comment on legislation and play a lobbying role for their members, in a similar manner to the above-mentioned Danish Insurance and Pension Association, and the Association of Danish Law Firms. There are no disciplinary or complaints boards specifically only for computer and IT professionals, and so disputes would proceed directly to the courts, unless otherwise decided by the parties. If the case concerns data protection breaches, they can be forwarded to the Danish Data Protection Agency. Similarly, there is no insurance requirement that applies specifically only to computer and IT professionals. Real property surveyors are not a specific profession in Denmark. Various professions cater for real property in Denmark and this section focuses on real estate agents and building experts. The tasks of real estate agents include appraising, negotiating sales and purchases, contacting mortgage providers and drafting sale contracts. A principal task of a building expert is to draft the structural survey in connection with a property's sale. As regards building experts, the relevant legislation is the Act on Licensed Building Experts with its related ministerial order.31 Section 11 of the ministerial order sets out in specific terms how building experts should conduct their work, which provides a basis when considering the standard of good practice. The Association for Building Experts and Energy Consultants is an applicable professional body. The building experts' combined board comes under the Danish Business Authority,32 and assesses cases regarding whether building experts have or have not fulfilled their obligations pursuant to the Act on Licensed Building Experts and to the Act on Consumer Protection when Buying Real Estate.33 The board can criticise, caution and fine building experts up to 100,000 Danish kroner, as well as assess contested structural surveys. Section 10 of both AB 92 and ABT 93 sets out a standard of good practice that is the default if nothing specific is set out in the contractual terms or otherwise agreed by the parties. The standard is that work must be of a professional quality. How this quality is assessed depends on each construction profession's requirements regarding applicable legislation, rules, guidelines, customs, etc. For both AB 92 and ABT 93, their respective Section 47s set out arbitration as the default dispute resolution mechanism, which parties often leave unchanged when adapting the conditions. Outside the general contractual conditions, three complaints boards are relevant; one deals with electricians and plumbers, and two others deal with other construction professionals such as painters, masons and carpenters, where the cost of construction is not greater than 1 million Danish kroner. For a professional body, the Danish Construction Association is one that comments on new legislation and is an employers' organisation, comprising as members: major building contractors, small and medium-sized construction companies and manufacturers of building components. The standard of good practice is influenced by applicable legislation, such as Section 361(2) of the Companies Act as regards accountants within limited liability companies41 and Section 16 of the Act on Approved Auditors and Audit Firms, which requires skills of accuracy and swiftness, as adapted to the particular task.42 The standard is partly defined by the code of conduct of the regulatory and professional body of the Institute of State Authorised Public Accountants. The Institute has an expert committee, to which parties can pose questions, and a court can take the committee's answers into account when deciding the standard. The disciplinary board for accountants is the Account Practices Board,43 to which claims can be brought regarding an accountant's statements and his or her related advice. Insurance companies are included in the Financial Business Act.45 The Act on Insurance Brokerage applies to independent insurance brokers.46 These brokers have a separate standard of good practice47 and a separate professional body, the Danish Association for Insurance Brokerage. The complaints board for independent insurance brokers is the Insurance Complaints Board. The following were notable cases concerning matters of negligence in different professional sectors in the past year. They focus on the calculation of loss and liability. The claimant was a company and held three mortgage bonds over a property. The defendant was the company's lawyer. The property was to be sold at auction and the lawyer was tasked with making a bid to ensure that the value of the mortgage bonds was covered by the sale price. The lawyer missed the auction and the property was sold for approximately 1 million Danish kroner. The lawyer acknowledged that he had made a professional fault and so the claim focused on the loss's amount. The company claimed that the lawyer's negligence cost it approximately 2.6 million Danish kroner, as the company had agreed with another company that the latter would buy the property. The lawyer argued that there was insufficient evidence that the agreement between the two companies was binding. The court confirmed that the loss should be calculated as the difference between what the company would have obtained if it were not for the lawyer's error and what the company actually obtained. The decision affirms the principle that the amount of a loss in cases of a lawyer's professional negligence is to be generally calculated as the difference between the positions of: (1) what would have happened if the fault had not occurred; and (2) what actually occurred following the fault. As the case was before the Supreme Court, there is no appeal and the decision is final. The claimant was an individual investor; the defendant was the investor's bank. The investor had made stock investments of approximately 4 billion Danish kroner between 2004 and 2007, partly financed by the bank. Due to the financial crisis the investments lost value and were sold at a loss. The investor claimed that the bank was liable for the investments' losses because the bank had not followed the required verification procedures and that, had the procedures been followed, they would have shown that the investor should not have completely invested in the stocks. The investor claimed approximately 65 million Danish kroner from the bank. The bank argued that the procedures required at the time had been met, that the investor did not rely on the bank's advice, and that the investor knew the investment risk and had accepted it. Given that the investor was experienced, the court found that he was fully aware of the risk. Accordingly, there was no basis for the bank's liability, even though the bank had not met every verification requirement. The decision affirms the principle that an investor's attributes and actions are relevant when assessing a negligence claim within the banking and finance sector. As with the previous case, this case was before the Supreme Court, and so there is no appeal and the decision is final. The claimant was a state-owned company and the defendants were the former board of directors, management and auditors of a bank. In the wake of the financial crisis, the bank was one of 12 that were wound up and taken over by the claimant to ensure the stability of the Danish economy. The company claimed an estimated 1 billion Danish kroner for losses on the grounds of professional negligence. It argued that the board of directors and the management in general had managed the bank recklessly, giving rise to liability, and that the auditors did not fulfil their duties to the bank, pursuant to the Companies Act applicable at the time. The defendants denied liability and argued that no legal duties or obligations were neglected. The court found that the bank had had large-scale exposure in the market-sensitive real estate sector, and that there had been negligent acts committed, such as the failure to perform credit evaluations prior to granting loans. However, the court found that the losses for the negligent acts had not been proved and that the general running of the bank, including its business strategy, did not give rise to fault. The decision affirms the principle that a claim for professional negligence requires sufficiently certain evidence to obtain compensation for losses. This case was before the Eastern High Court and has been appealed to the Supreme Court. The claimant was a company, which bought, sold and rented commercial real estate. The defendant was the company's accountant. The company had entered into an interest rate swap, which the accountant did not take into consideration when preparing the company's financial reports. The company and its accountant agreed that this omission meant that the company had lost a tax allowance, and that this allowance had a value of approximately 1.7 million Danish kroner. The parties further agreed that, from the date the omission occurred, the company had recorded deficits. The court found that the company had not yet realised a loss because the deficits were continuing, but also found that it was uncertain how long the deficits would continue. Owing to the seriousness of the accountant's error, the standard of proof was eased in favour of the claimant as regards calculating the amount of the loss, and the court awarded, in its discretionary estimation, 700,000 Danish kroner to the company. This decision affirms the principle that, while losses must usually be sufficiently substantiated in order to be successful, if a negligent act is deemed sufficiently serious, the Danish courts are willing to ease the general standard of proof as regards calculating the amount of loss. This case was before the Western High Court, and such cases can be appealed to the Supreme Court. To the authors' present knowledge, no such appeal has been made. 1 Jacob Skude Rasmussen is a partner and Andrew Poole is a dispute resolution consultant at Gorrissen Federspiel. The authors acknowledge the valuable assistance of assistant attorney Mathias Mølsted Andersen in producing this chapter. 2 For example, regarding lawyers, see section 126 of the Administration of Justice Act, No. 1101 of 22 September 2017. 3 See Bo Von Eyben and Helle Isager, Lærebog i Erstatningsret, 8th ed. (Copenhagen: Jurist- og Økonomforbundets Forlag, 2015), p. 129f. 4 Act No. 1238 of 9 November 2015. 5 See section 3(1) of the Limitation Act. 6 See sections 2(3)–(4) of the Limitation Act. 7 See section 3(2) of the Limitation Act. 8 See sections 3(3)(1)–(4) of the Limitation Act. 9 Act No. 1101 of 22 September 2017. 10 For example, regarding accountants, see Lars Bo Langsted, Paul Krüger Andersen and Lars Kiertzner, Revisoransvar, 8th ed. (Copenhagen: Karnov, 2013), p. 500. 11 See Mads Bryde Andersen, Grundlæggende Aftaleret, 4th ed. (Copenhagen: Gjellerup Forlag, 2013), p. 100f. 12 See Vibe Ulfbeck, Erstatningsretlige Grænseområder, 2nd ed. (Copenhagen: Jurist- og Økonomforbundets Forlag, 2010), p. 113. 13 See section 126 of the Administration of Justice Act. 14 See sections 147 d and 147 e of the Administration of Justice Act. 15 See section 61 of the articles of association of The Danish Bar and Law Society, which implements section 127 of the Administration of Justice Act, and is approved by ministerial order No. 907 of 16 September 2009. 16 Act No. 1022 of 28 August 2017. 17 See section 20(1) of the Act on Complaints and Claims in Healthcare. 18 See section 20(1)(1) of the Act on Complaints and Claims in Healthcare. 19 One for the disciplinary board and one for the complaints boards, see sections 12 and 12 a of the Act on Complaints and Claims in Healthcare respectively. 20 Subject to further qualifying factors, see section 8 of ministerial order No. 488 of 3 May 2018. 21 See sections 30 and 31 of the Act on Complaints and Claims in Healthcare, and Kristina Sprove Askjær, Peter Jakobsen and Niels Hjortnæs, Erstatning Inden for Sundhedsvæsnet, 2nd ed. (Copenhagen: Karnov, 2017), p. 383. 22 Act No. 1140 of 26 September 2017. 23 See sections 1 and 5 of the Financial Business Act. 24 For example, see ministerial order No. 332 of 7 April 2016 on good business practice in real estate credit lending. 25 See section 2(1)(4) of ministerial order No. 1228 of 31 October 2010. 26 Act No. 128 of 7 February 2014. 27 For example, see section 279 a of the Criminal Code, Act No. 977 of 9 August 2017. 28 Act No. 526 of 28 May 2014, see sections 1 and 2. 29 See chapter 7 of the Act on Sale of Real Property. 30 See section 4 of ministerial order No. 1537 of 9 December 2015. 31 Act No. 1532 of 21 December 2010 and ministerial order No. 1426 of 30 November 2016. 32 See section 2 of the Act on Licensed Building Experts. 33 Act No. 1123 of 22 September 2015. 34 See section 4(1)(5) of ministerial order No. 1426 of 30 November 2016. 35 See Torsten Iversen, Entrepriseretten (Copenhagen: Jurist- og Økonomforbundets Forlag, 2016), p. 50. 36 Namely, the general terms for work and supply in building and civil engineering work of 10 December 1992. 37 Namely, the general terms for turnkey projects of 22 December 1993. 38 See section 8(3) of both AB 92 and ABT 93. 'Usual' suggests the market standard. 39 See Torsten Iversen, Entrepriseretten (Copenhagen: Jurist- og Økonomforbundets Forlag, 2016), p. 278. 40 For the purposes of this section, auditors fall under the description for accountants. 41 Act No. 1089 of 14 September 2015. 42 Act No. 1167 of 9 September 2016. 43 See ministerial order No. 727 of 15 June 2016, pursuant to section 47 of the Act on Approved Auditors and Audit Firms. 44 See sections 3(1)(6) and 3(4) of the Act on Approved Auditors and Audit Firms and sections 8(2)–(3) of ministerial order No. 1536 of 9 December 2015. 45 See section II.iii of this chapter. 46 Act No. 1065 of 22 August 2013. 47 See ministerial order No. 455 of 30 April 2018. 48 The insurance rules are set out separately and in more detail at section 3(1) of ministerial order No. 481 of 3 May 2018. 49 Supreme Court decision of 5 January 2017 in case No. 215/2015, reported in the Danish weekly law reports: UfR 2017.1174 H.
50 Supreme Court decision of 9 March 2017 in case No. 347/2011, reported in the Danish weekly law reports: UfR 2017.1712 H.
51 Eastern High Court decision of 7 November 2017 in case Nos. B1291-10 and B1851-10, unreported in the Danish weekly law reports at time of writing. 52 Western High Court decision of 29 November 2016 in case No. B1652-15. 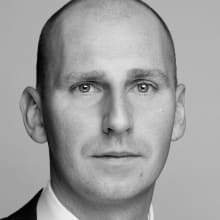 Although the judgment is dated 2016, the case was reported in 2017 in the Danish weekly law reports: UfR 2017.753 V.
54 At AB 18's sections 11, 12 and 69 respectively.